When your crawl space gets out of shape the damage can spread into the foundation under your home. Not only that, but smells, allergens, and bacteria from under your home or office can make their way into your indoor air flow. Don’t let damage to your crawl space spread and worsen. Get crawl space restoration in Lincoln City from the experienced professionals at The Killers Crawl Space Restoration. A crawl space can become a breeding ground for mold, insect activity, rodents, and even larger animals. Each of these pose a threat to your home’s foundation, braking it down and starting the rotting process of wood and other materials. If left unchecked, it can become costly damage. In addition to the cost of repair to your home, you are likely also losing money from torn up insulation. When the insulation has holes or pieces torn out, it is not properly keeping your heating and cooling inside your home. Drafts may be getting in and inside air is probably leaking out. Crawl space restoration keeps your home safe inside and out by holding the crawl space in good condition. 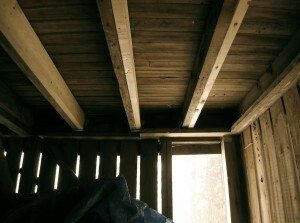 The crawl space needs to have ventilation in just the right places in order to stay dry and discourage mold and mildew. Our restoration professionals have the experience and know-how to measure and repair the correct air flow. The Killers Crawl Space Restoration has been specializing in crawl space restoration for over 25 years. We assess your crawl space, remove all damaged materials, completely clean the space, install protective materials—such as pest control and rodent-proofing—we rebuild damaged structures, and then reinstall insulation and the vapor barrier. We measure the air flow and make sure the entire structure is sound before we are through. Keep your crawl space in good shape by getting and annual inspection. Our crawl space restoration professionals have a thorough understanding of crawl space health. After an initial inspection we offer you a complete description of the condition of your crawl space. We discuss our suggestions and answer any of your questions. We also offer an accurate, written estimate. We wait for your approval before beginning any work. If you know you need crawl space restoration in Lincoln City, or it has been a while since you have had a crawl space inspection, contact us today. 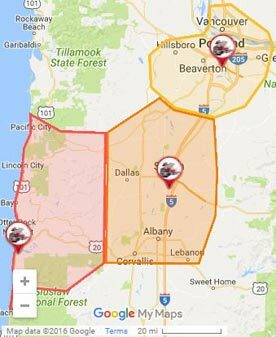 We are proud to serve Lincoln City and surrounding areas. 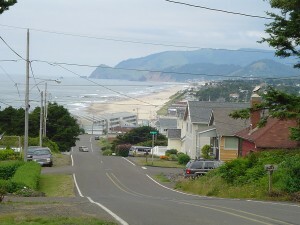 With the views of the ocean and the warmth of the community, Lincoln City has it all!